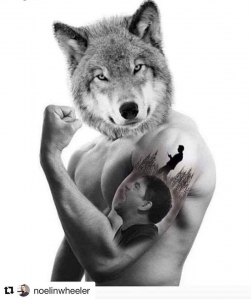 Can we please look beyond sick wolves and roaring lions for our spirited animal tattoos? I recently came across this gem of a photoshopped picture on my Facebook feed, a couple of days back. Yeah, baby! A sick wolf tat. Orrrr, should we say a sick human tat for the wolves. 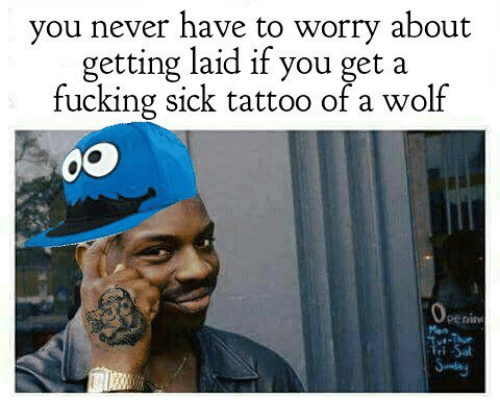 Any which way, this pertinent meme got me thinking, Why are we so obsessed with wolves and lions when it comes to tattoos?? Okay, maybe we can add owls to that list too. But why is everybody’s spirit animal a roaring lion, or a double exposure wolf in the woods, or a tribal owl? What have the rhinos, giraffes and zebras of the world done wrong to not be adorned in hyper realistic tats, yo? We live in India! 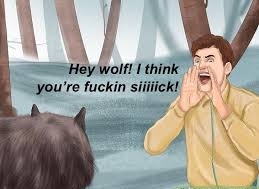 How many Siberian wolves have we seen in our surroundings? We are a country of thick-headed Bhakts. C’mon saffron army, at least get some portrait tattoos of your national mother, Gau Mata. It would be so cool to see new school cow tattoos though, mooing along. They aren’t Aliens, after all. Okay, you all want to be the king of the jungle of your life, and want that photo realistic lion on your shoulder to make your intentions clear, but c’mon, maybe the hippo too…? Don’t you want to be seen as strong, and calm? At least our journalists can get some chameleon tattoos. After all, they adapt so well to changing political climates of the country, by switching sides. And a deadly croc for our Prime Minister, maybe. I sometimes wonder how heartbroken these animals might be, if they are aware of our extremely cliched animal tattoo subjects. We keep killing them in hundreds of thousands, encroach their living habitats, and in return, (who knows, maybe) all they want from us is to just remember them through tattoos on our bodies. C’mon humans, show some damn empathy, at least. Or, look at it this way. We are all different from each other, right? My personality and yours aren’t the same. We have so many individual character traits. For instance, I know this lady who has a sleeve of insects – a dragonfly, a dead wasp, a honeybee, a mosquito among others. She says the different insects represent different people in her life. For example, the dead wasp is her ex husband. And I was like, That’s so cool! Or at least, let’s bring some variety. Asiatic lions are among the most endangered species in India. Let get some of them? One horned rhinos are being poached to extinction too. I’d suggest, let’s start raising funds for organizations that work for the betterment of these species, by getting tattoos for our endangered friends. Or not… At least think about the portfolios of our hardworking tattoo artists. They’d be so happy to have a wildlife portfolio that is not just lions and wolves. Throw them a challenge. Get some black bucks, warthogs, monkeys for Instagram’s sake. Choices are aplenty, so why settle for the same. You are unique. Previous Post Previous post: It’s Teachers’ Day, and is training in tattoo schools earned or just paid for?